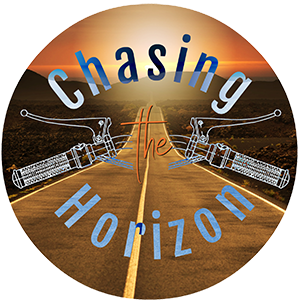 Chasing the Horizon, Episode 4, in which we talk to Al Jesse of Jesse Luggage Systems and Sean Derivan is now available. Why Sean? It’s no secret now, but I’m sure you can put it together before you listen to the episode. Stream or download by pointing your web browser right here. This episode also features news about Ducati (currently owned by Volkswagen and managed by their subsidiary Audi, Royal Enfield (owned by India’s Eicher) and the Harley-Davidson Motor Company. This episode’s featured BMW MOA benefit is the MOA’s new partnership with Priceline.com – a partnership that could far outpace the cost of your MOA membership in how much money it saves you on hotel bookings. We’ll be at the AIMExpo in Columbus, Ohio, most of the upcoming week, talking to manufacturers (including Indian and Sena), lining up future guests for the podcast, and haunting the BMW Motorrad booth.